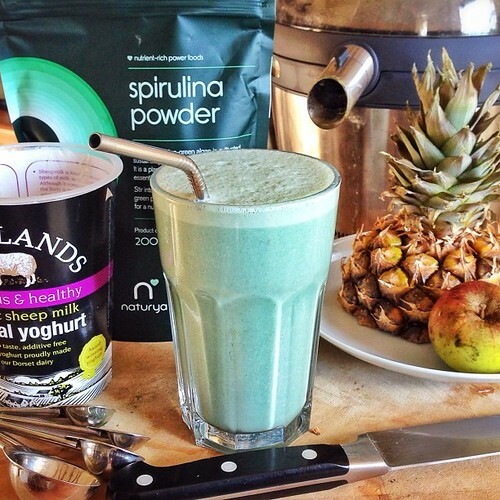 The Neptune green appearance of this spirulina yogurt smoothie would make it a fitting item on the bar menu at Ten Forward (or the Chalmun’s Cantina if you’d like). The super sci-fi color comes from – you guessed it – the combo of yogurt and spirulina. Meanwhile, the addition of pineapple and banana make it delicious and refreshing. This smoothie is inspired by the Passion 4 Juice Master, one of the highlights of Juice Feast. This smoothie uses whole pineapple rather than juiced pineapple so it can all be done in the blender (I use a Froothie Optimum 9400). 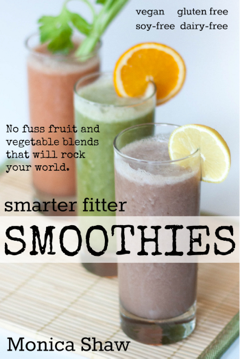 Put everything into the blender (I use a Froothie Optimum 9400) and blitz until smooth. Serve on ice and enjoy!